Rain is pouring down outside here in Sydney, so there's no place I'd rather be than inside, counting down through my favourite songs from 1994. I spent a lot of time inside during those 12 months, from memory, since I was completing a double degree at university, so hours were spent at my desk. They'd had one of the biggest hits of 1993 with "All That She Wants", but the Swedish pop quartet couldn't manage another one despite releasing three more singles from their debut album (including a re-release of their debut single, "Wheel Of Fortune"). Then came this song, one of a handful of new tracks recorded for a revised version of Happy Nation (titled The Sign in the US and Happy Nation US Version everywhere else). "The Sign" surpassed "All That She Wants" to become the biggest hit of 1994 in the States, a number 1 in Australia and a top 5 hit just about everywhere else in the world. On a roll, Ace Of Base landed more hits with a cover of the Tina Turner B-side/Aswad hit, "Don't Turn Around", and "Living In Danger", two more new songs included on the revamped album. They weren't quite the new ABBA they were being billed as, but at the very least, they were the new Roxette. Australia hadn't embraced soul/rock group Roachford first (or second) time round, but they finally hit pay dirt locally with the singles from third album Permanent Shade Of Blue. Songs like this lead single, "This Generation" (number 105 on this list) and "Lay Your Love On Me" (number 123) were on high rotation on FM radio, and although none became a top 10 hit, the album hit number 2 and sold double platinum. Their Australian success ended as abruptly as it started and their subsequent albums disappeared more or less without a trace. A hit in New Zealand years before, the Eskimos In Egypt remix of "Cruise Control" became Headless Chickens' one and only top 50 hit across the Tasman (it reached number 26 in Australia). Singer Fiona McDonald was pretty busy in 1994 - she also provided vocals on Strawpeople's "Trick With A Knife", although that song wouldn't crack the ARIA top 50 until mid-1995. They'd had a massive 1993, and although songs like this, "Love Ain't Here Anymore" and "Sure" continued their hot streak in the UK, 1994 now seems like the calm between two storms for the boy band. The title track of their second album, "Everything Changes" was one of a handful of singles to feature lead vocals by Robbie Williams, who'd be responsible for many of the headlines Take That would make the following year. Unlike Take That, Kylie Minogue disappeared off the face of the earth in 1993, but the former Stock Aitken Waterman star returned with a new UK record label (Deconstruction) and a surprising new sound in 1994. The edgy "Confide In Me" was a stroke of genius - it returned her to the number 1 spot in Australia for the first time since 1988, and made pretty much all her critics sit up, take notice and rethink any assumptions they made about her in the past. Singles like this and "Put Yourself In My Place" (number 70 on this list), although not among my favourites from her back catalogue, were instrumental in making Kylie cool again. Here's a rare example of a Eurodance song that was a hit in Australia (it reached number 8 after debuting in July '94) before it was a success in the UK (a remixed single version by the Rapino Brothers peaked at number 2 after debuting in September the same year). As usual, the US was even further behind, with it taking until 1995 for the song to hit the top 20 there, but there's no denying "The Rhythm Of The Night" was one of the biggest Eurodance hits of the decade around the world. More hits were to come from the group masterminded by Checco Bontempi, who was also behind Lee Marrow ("To Go Crazy") - but like so many other Eurodance acts, major success was limited to one album. Two years on from Rockmelons' hits with Deni Hines and singles were still being lifted from the Form One Planet album. In this case, a remixed version of "Stronger Together" surfaced in 1994, but only managed one week on the top 100 (at number 96). Not surprisingly, the radio edit of the remix isn't on YouTube, but the full Paul Gotel extended mix is below for your listening pleasure. Speaking of remixes - here's one of 1994's most genius pairings: Pet Shop Boys transforming Blur's Britpop classic into a dance floor anthem. The song, the lead single from the massive Parklife album, became the group's biggest UK hit at the time and also charted, thanks in no small part to the PSB mix, in Australia and the US. Neil Tennant and Chris Lowe were clearly pleased with their handiwork since they performed the track during their Discovery tour, which I saw that year. The hook from the song would also resurface in two years' time as the basis for Pianoman's dance hit, "Blurred". Yep, remixes were everywhere in 1994 - and this revamp of the 1993 single by Paul Oakenfold gave D:Ream another chart hit to follow "Things Can Only Get Better". The group would enlist another top remix name, Brothers In Rhythm, for their next single, "Take Me Away" (number 121 on this list) and turn to Loveland when it finally came time for them to move on to releasing singles from album number two in 1995. Even Australia wasn't immune to the remix trend and this dance act benefitted from having local DJ Pee Wee Ferris work his magic on this track, which finally became a top 40 hit in 1994. Following the Euphoria model of male musical mastermind (Paul Brandoli) and two female singers (Victoria Wu and former Young Talent Time member Lorena Novoa), Culture Shock had another minor hit that year with "My Enemy" and their debut album is still in my collection. In 1996, the group re-emerged as a male duo, with Paul and new vocalist Dominic Cincotta releasing "Who's Gonna Cry For You" - but it failed to chart. Meanwhile, Lorena still performs, singing in police band Code One. Compared to the '80s and early '90s, synthpop bands were few and far between by the middle of the decade, but this US group popped up on American Top 40 (yep, I was still listening) with this track, despite the fact it only reached number 67 on the Billboard Hot 100. Clearly, the syndicated radio show was playing one of Billboard's many other charts, but I'm not complaining, since otherwise I never would have come across this song. Here's a song it was impossible not to come across in 1994 - it was a number 1 country hit in the US for original artist John Michael Montgomery and reached the same position in an R&B version by Boyz II Men clones All-4-One on the Hot 100, as well as in Australia (but not the UK, since it was stuck for seven weeks behind Wet Wet Wet's "Love Is All Around"). As saccharine as a ballad could be, it was always going to be a smash - and although most people probably consider All-4-One to be one hit wonders, they also scored with their debut single, "So Much In Love" (a cover of The Tymes' 1963 hit), and repeated their "I Swear" tactic in 1995 by covering another John Michael Montgomery song, "I Can Love You Like That". While his music may have been pretty original, Seal's choice of album titles was not, and in 1994 he released another album called Seal as the follow-up to his 1991 debut album (also called Seal). The 1994 Seal became known as Seal II and, besides being one of my 50 favourite albums of all time, featured two singles that make my top 50 for 1994: this track and "Prayer For The Dying" (above at number 43). Of course, "Kiss From A Rose" wasn't a huge hit on its original release as the second single from Seal II and it took until 1995, after the song had been featured in Batman Forever, for the tune to become the global chart-topper we all now know it as. 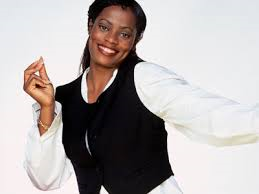 Another song that was re-released in 1995 after underperforming (at least in the UK) on original release in 1994 was the first single lifted from Des'ree's I Ain't Movin' album. Reissuing had worked for her very first single, "Feel So High", back in 1991/92, but in the end, "You Gotta Be" only improved from being a number 20 hit to a number 14 hit in Britain the following year. In the US (number 5) and Australia (number 9), the song was a much more instant success - but it would take for a second remix of the song in 1999 for the track to finally crack the UK top 10. Here's one of those dance tracks I know absolutely nothing about, apart from the fact that it's a really good song and the artist name popped up a lot around the time on remixes of one thing or another (including the re-release of Taylor Dayne's "Tell It To My Heart"). The fantastic Discogs site tells me T-Empo was comprised of Colin Thorpe, Simon Bradshaw and Tim Lennox, if that means anything to you. Proving the "Eurodance acts are only successful with songs from one album" theory are Cappella, who continued to lift hits from U Got 2 Know in 1994. Also proving that it's never wise to fix what isn't broken, the Italian dance act only released singles with titles starting with the word "Move" or letter "U", which included UK top 10 hits "Move On Baby" and "U & Me" (number 120 on this list), as well as "Move It Up" (number 117). Back in Part 2, we saw Tony Di Bart's "The Real Thing" and here we find 1994's other song with that title - the first single from 2 Unlimited's second album, Real Things. Sharing a similar hook with Jam & Spoon's "Right In The Night (Fall In Love With Music)" (number 148 on this list), "The Real Thing" matched the number 6 peak of previous single "Let The Beat Control Your Body" (number 35 above) in the UK and, bizarrely enough, equalled that song's number 39 position in Australia. "The Real Thing" would be the dance duo's final UK top 10 and Australian top 40 hit. It missed the UK top 40 first time round in 1993, but "Crazy For You" made up for it in 1994 - peaking at number 2 and, like "I Swear", becoming another song that missed out on the number 1 spot thanks to Wet Wet Wet. It's a good thing it was eventually so successful, since, in the pre-download days, releasing a record twice and shooting two music videos can't have been a cheap exercise. Let Loose didn't have another song as big as "Crazy For You", but they did release a few more good tracks, including "Seventeen" (number 109 on this list), which was co-written and produced by Nik Kershaw. This Danish act should really be on the list of the decade's worst Eurodance groups, were it not for this inspired cover of the KC & The Sunshine Band hit from 1983. Of course, it wasn't that original an idea, since KWS had turned KC's "Please Don't Go" into a huge success all over again in 1992, but a good song is a good song - and this remake was a solid version of an already great track. Interestingly, Australia was far more impressed by Cut 'N' Move's efforts than the UK, where "Give It Up" tanked at number 61. Here, the song was a four-week chart-topper. In Part 4, we'll tackle my favourite 25 songs from 1994, which features the return of one of the '80s most flamboyant stars and more tracks that didn't succeed first time around.